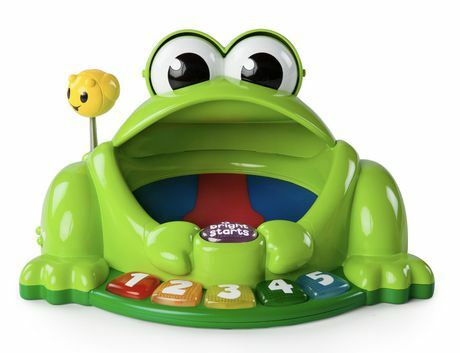 This fascinating frog will make a splash at playtime! Feed balls into the frogs mouth and watch them bounce around and jump back out! 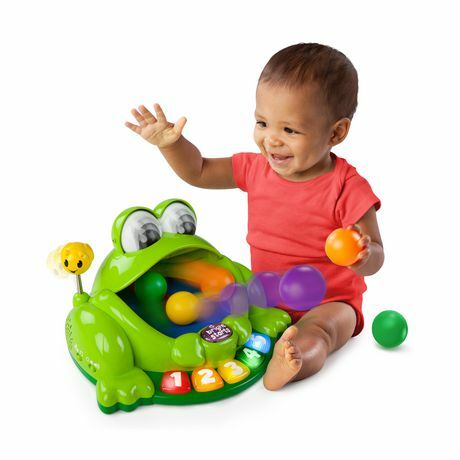 Pop & Giggle Pond Pal™ from Bright Starts™ will have baby laughing out loud as crazy balls bounce around a trampoline inside this friendly frog's mouth. 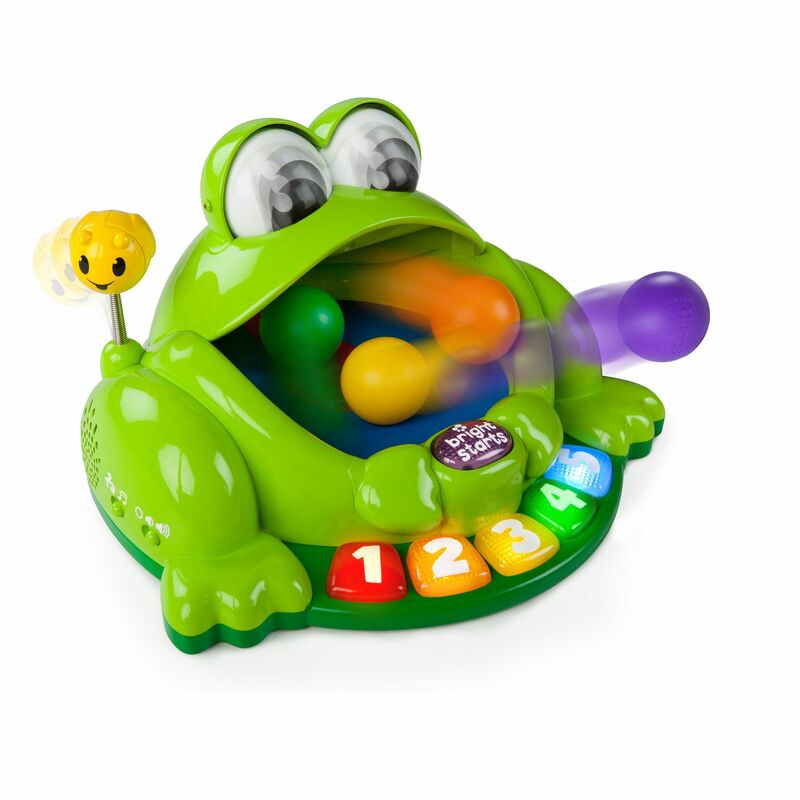 Feed the balls to the frog, press the button and the ball-popping action begins! 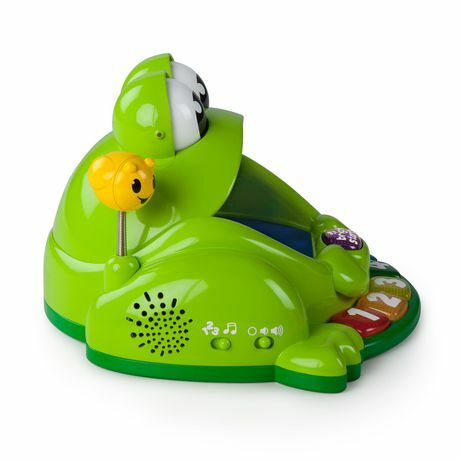 5 light up buttons introduce colors and numbers along with silly sounds and melodies. A little bee joins the frog for springy, batting fun. Frog has funny eyes that roll. Includes 6 balls, but more can be purchased from the Bright Starts Having a Ball Collection™.